Conveniently located in the heart of downtown Hilo. After 12 years of success in Kona, we weren't looking to expand. But…This stunning restaurant space in the Historic Kaikodo building “spoke to us”! This Hilo landmark was built in 1907 as the Hilo Masonic Lodge Hall and was the original home to the Bank of Hilo. To this day there’s a classic old bank vault and an incredible crafted 150 year English bar inside the restaurant. It’s really cool. From the moment we walked into our Hilo space, we knew we had to do it! We opened Jackie Rey’s Hilo in November of 2016 and grew our restaurant(s) from 35 to 75 amazing team members. 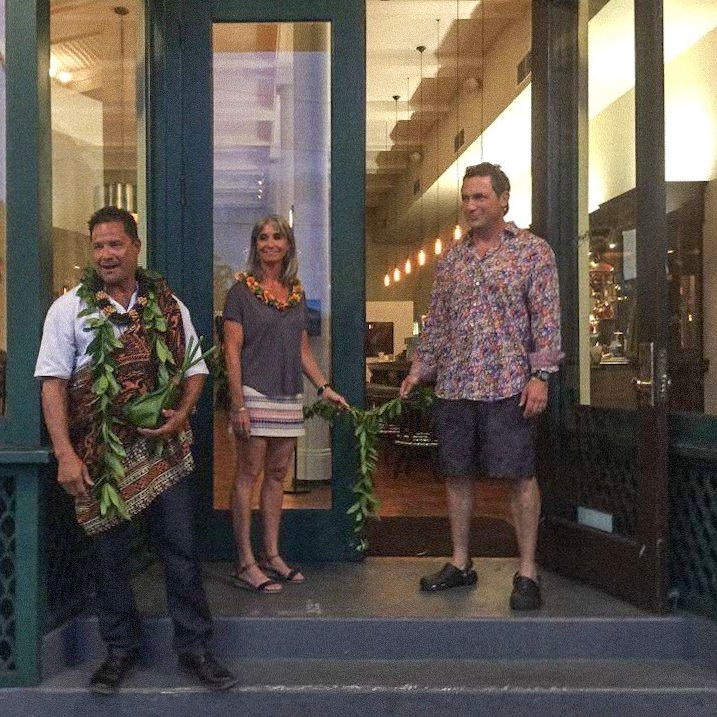 Chef Dave Rodrick has been with Paul and Angela since 2005, a year after the restaurant in Kona opened. Dave has been cheffing his entire adult life with stints on the mainland and in Hawaii. He is incredibly talented! Zenato Ripassa ‘Baby Amarone’ Valpolicella D.O.C. Corona, Heineken, Stella Artois, Guinness, St. Pauli Girl N.A.